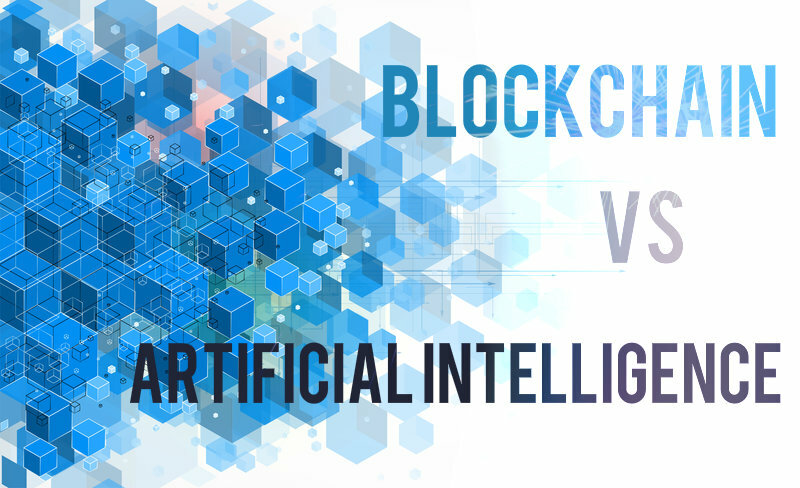 Blockchain vs Artificial Intelligence: how are they shaping the future? Home Open Access News Blockchain News Blockchain vs Artificial Intelligence: how are they shaping the future? Since their inceptions, both artificial intelligence and blockchain technology have garnered much interest within the technology sphere. In recent years, blockchain technology has provided our global community with revolutionary solutions to many areas including finance, authentication and data protection. Since the 1940s, artificial intelligence has perplexed great minds including Turing and McCarthy who began the conversation as to whether machines can think for themselves and how this progress can significantly impact our lives for the greater good. Together, they provide scope for major technological changes. Created by Satoshi Nakamoto, the blockchain is a revolutionary technology and distributed ledger platform that allows information to be shared — but not copied — across a series of networks. The technology removes the need for a centralised owner making it near impossible to fraud the information in the chain (as all nodes within a very long sequence of transactions would need to be tampered with). If there is any information that does not match the previous block, the whole transaction will be void. Famously associated with Bitcoin and various other cryptocurrencies for its secure and reliable nature, the security that blockchain technology provides, has appealed to and been applied to many other sectors including education, finance and health. 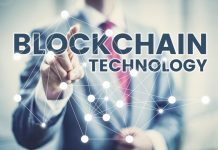 Companies around the world are using blockchain to develop innovative new inventions to aid the healthcare sector. A device by innovation company, Nnbu Holdings explores the ways in which blockchain can be used to promote healthier outcomes for babies born by C-section. The device followed recent research from the University of Edinburgh, which found that babies delivered by C-section have an increased risk of developing asthma and weight related health issues later on in life. A blockchain enabled security feature ensures that only qualified medical personnel will be able to carry out maintenance work on the device. 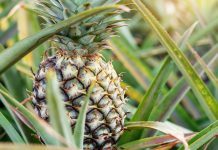 However, despite the technology’s palpable uses and benefits, controversies over financial investment means that we won’t see a major change in anything just yet. With the healthcare sector being one of the most regulated sectors for obvious reasons, governing organisations would need to review each and every potential danger with a fine toothed comb before updating and investing into any systems. The second example comes from HEX Innovation, another company using the platform to deliver improved experiences for the healthcare sector. HEX Innovation has created a medical information platform which uses blockchain technology to share patient data in a more resourceful and coherent way. The company hopes that by sharing hospital records, dosages and other useful patient data on the platform hospitals will be able to manage data more effectively going forward. Although blockchain technology has proven that its interchangeable nature can be adapted to solve particular issues, in the long run, it has quite a long way to go until it is accepted universally as a safe method of data sharing. 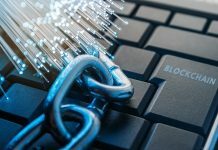 Not only is blockchain making waves in the healthcare sector, but it has also been applied to verify the authenticity of diamonds. 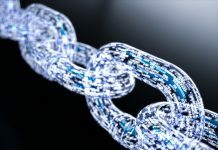 Global leaders in diamond mining, De Beers has taken it upon themselves to create a blockchain enabled platform to trace diamonds back to their origins, in a move to reduce the likelihood of unethically sourced rocks which could come from conflict-zones. A system built on blockchain would act as a digital record to track each and every diamond the company has sourced. To uphold their world-renowned reputation, it is important for the company to know exactly where their diamonds have come from to prove the legitimacy of the diamonds to their customers. The company hopes that their revolutionary approach will transform the entire industry. “Diamonds hold enduring value and represent some of life’s most meaningful moments, so it’s essential to provide assurance that a diamond is conflict-free and natural. A bank in Switzerland has become the world’s first to adopt blockchain technology to deliver cryptocurrency services. 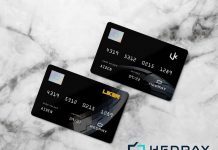 The Hypotherkarbank Lenzburg now offers services in the form of cryptocurrencies and digital assets for blockchain-associated businesses, while also offering cryptocurrency accounts for service users. Despite opposition from other institutions as to whether the technology will cut the mustard in terms of improving the sector; the bank went ahead and made the adjustments anyway in the hopes of inspiring others to follow suit. The European Commission are also getting in on the action and have joined a deal with SEAL network, a ‘blockchain powered services platform’ to develop anti-counterfeit software. The ground-breaking technology combines NFC chips and a mobile app to allow government institutions and custom agencies to verify product authenticity. 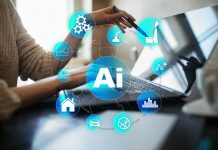 Artificial Intelligence (AI) is a broad term for technology which has an alarmingly high amount of processing power, enough to dramatically reduce the time it takes for humans to complete administrative tasks. AI — through machine learning — has been seen the world over as a cost-effective solution to assist our busy lifestyles. However, the ever-changing technology is adapting and developing possibly faster than we would like and has the potential to replace thousands of human jobs for years to come. So is AI shaping our future or is it taking it away from us? Recent AI developments have contributed to cause major advancements in the world of medicine. It is hoped that artificial intelligence will be able to improve cancer diagnosis and prevent around 22,000 deaths a year by 2033. The technology cross-examines people’s genetics, habits and medical records against national data to delineate early warning signs of cancer in patients who may not have even expected it. This would allow doctors to refer their patients to oncologists sooner, potentially saving thousands of lives as a result. By examining large amounts of data faster and at a higher standard than a human brain; the technology would free up human beings to develop medical research and to concentrate on developing further technologies to support our ageing populations. Another technology making waves in the healthcare sector is the Aiforia Cloud. It has already helped more than 6,000 pathologists, researchers and pharmaceutical companies to analyse samples of cancer and many other diseases. The Aiforia deep learning algorithm is capable of performing laborious image analysis much faster than a human.m The AI technology has been developed to free up the time of professionals so that they can work on high-value work and research. Recognising the huge awards that AI can bring, the government has worked to increase AI awareness through initiatives throughout the country. Following a public inquiry into the use of AI, the House of Lords produced a report in April 2017 to promote the benefits of the technology in a bid to encourage a national adoption. Furthermore, the Home Office has already created its own AI system to track down extremist content on the internet. The technology removes the need for staff to manually trawl through page upon page which could take a human hours to find the explicit content. Instead, AI can find dangerous pages much faster, more efficiently, all whilst being enormously cost effective in the long run. Similarly, AI for business works to free up the time of working professionals so that they can concentrate on what they do best — interacting with other humans to sell more products. Many businesses who have already integrated AI into their work have praised its ability to generate hyper relevant leads by searching entire CRM systems, eschewing staff from monotonous work easily completed by the technology. Despite the uses and the benefits, an alternative look at AI fears the amount of destruction that could be caused to society in the future, as a result of the technology taking away jobs and leaving many unemployed. Alarm bells rang back in 2016, amid talks at a high-profile venture capital event as part of Lisbon’s Web Summit. 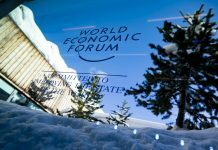 Frustrations aired by 93% of the 224 investors asked, suggested that governments around the world are not prepared for the impact AI is set to have on employment for years to come. 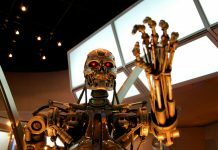 Even Google retracted an AI project with the Pentagon earlier this year, as a result of many reservations from staff who expressed concerns over using AI for military purposes. However, it is clear to see that both blockchain technology and artificial intelligence do provide huge benefits to society. From major medical breakthroughs to freeing up time for employees to concentrate on high-value work, both areas will continue to impact society as technologies develop and grow. As for the future of both areas, we can only wait to see what the future will bring. We’d love to know what you think, so please leave your comments below. Decentralising security for mobile devices: Is blockchain the viable solution? Why are central banks leading blockchain experimentation? I think we’re going to have to figure out who controls such technology first. Since massive amount of wealth will be generated from the actions of AI, should the bulk of the profit go to a centralized entity (or group of individuals) or should it be distributed to the people? SingularityNET’s view on this is interesting in that they want to decentralize the functions of AI and make these algorithms available to anyone who wants to use them.